The on-going Civil War in Yemen has escalated into a humanitarian crisis of indefinite proportions. Since 2011, more than 10,000 people have been killed, nearly 50,000 have been injured or maimed and over three million are displaced. In November 2017, the United Nations humanitarian agencies have warned that the country is on the verge of facing the largest famine the world has seen in decades and that 17 million Yemenis are food insecure. Differences amongst the warring factions have increased and international efforts towards a negotiated settlement have not progressed. The assassination of the former President Ali Abdullah Saleh in December 2017 exacerbated the situation. Regional interventions on behalf of various warring groups has led to a stalemate which could not be overcome. There is a serious possibility that the civil war could escalate into a regional confrontation between Saudi Arabia and Iran, which support the governments of Abdrabbuh Mansur Hadi and Houthi rebels, respectively. Under these circumstances there are no political, economic, or trade relations between India and Yemen and the Indian mission in Sana’a had to be shifted to Djibouti in April 2015. Despite the successful evacuation carried out in 2015 through Operation Rahaat, media reports speak of a small Indian community that continues to reside in Yemen due to economic or social compulsions. 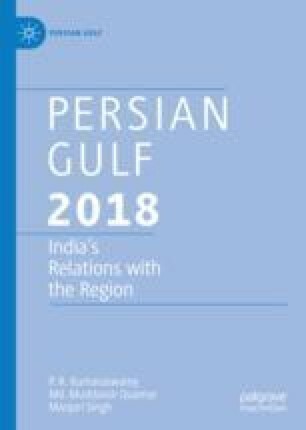 The continuation of the Yemeni crisis poses a serious diplomatic and security challenge to New Delhi and its interests in the Persian Gulf region.